Now located in the historic Helms Bakery district, Arcana: Books on the Arts is one of the world's premier visual arts bookstores specializing in rare and collectible Modern & Contemporary Art, Photography, Design, Architecture, Cinema, Music and Fashion. 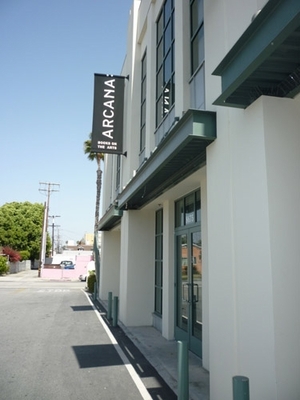 Arcana has long been a favorite shopping haunt for insiders in the worlds of film, fashion, art, photography, and commercial production. Its vast selection of rare, out-of-print and new books & catalogues from around the world is unparalleled.